Ask about our Military, Repeat Guest and AAA discounts. Free Upgrade Frenzy - LIMITED SUPPLY! Enjoy spring in Park City. The crowds are gone and the town is yours to explore. Book Now and take advantage of a complimentary upgrade. LIMITED SUPPLY! Book a Standard Room at our Current Rate and receive a complimentary upgraded to a Luxury or 1 Bedroom Suite. Book a Luxury or 1 Bedroom Suite at our Current Rate and receive a complimentary upgrade to a 2 Bedroom Suite or Deluxe Luxury Suite. Book 2+ nights in a Standard Room at our Current Rate and receive a complimentary upgrade to a Luxury Suite, 1 Bedroom Suite or 2 Bedroom Townhome. After booking, hotel will adjust the reservation to the upgraded room and send an updated confirmation. For the 2+ night Standard Room upgrades, hotel will reach out to guest to confirm your preferred room type. This offer is subject to availability. Valid for select dates from April 8th, 2019 through May 31, 2019. Other restrictions and blackout dates may apply. Not valid for group, corporate or existing reservations; cannot be combined with other special offers. This promotion is 100% due at time of booking and is non-refundable and non-modifiable. Summer in Park City is full of adventure. Whether you are interested in outdoor recreation, festivals or music, there are plenty of options for everyone. 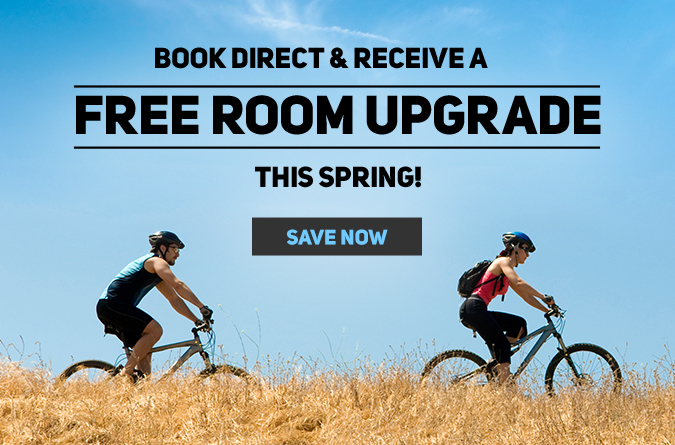 Book now and save more! The countdown is ON! This offer is subject to availability. Valid for stays from June 1, 2019 - October 31, 2019. Not valid for group, corporate or existing reservations; cannot be combined with other special offers. Other restrictions and blackout dates may apply. Book Early and Save 10% when you select the Advance Purchase Rate. Must book at least 21 days prior to arrival. This offer is subject to availability and blackout dates. Other restrictions may apply. Not valid for group, corporate or existing reservations and cannot be combined with any other offer. Reservation is 100% due at time of booking and non-refundable and non-modifiable.